Nord West have continued their range expansion with 2 new models 430 Sport and 430 Sports Top. Following on from the previous success of their 370 range, Nord West now launches their larger models fully taking advantage of their multi award winning 4-series hull. 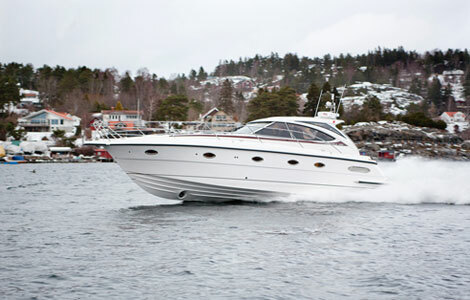 This Benny Martinsson designed hull has won acclaim world wide and now becomes available as a full size sports cruiser. New owners can chose from an amazing three alternative layouts varying widely from two double state rooms with two heads and shower rooms, to three double cabins complementing with a single head. The choice is yours. 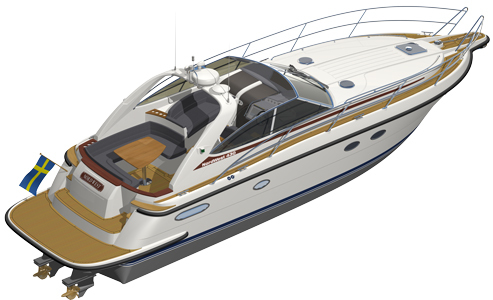 Owners can also chose between a traditional fully open topped boat giving maximum exposure to the sky or the new practical alternative of a sports top with electrically folding roof giving new dimensions of open sky. 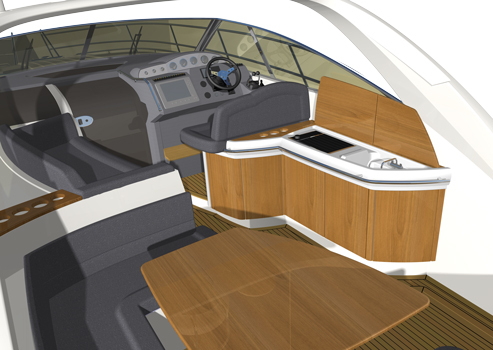 Each innovative cockpit offers both high and low level seating with innovative wet bar area. The standard of Nord West finish brings to the discerning client new high levels of excellence. But this is only part of the story. Now add Nord West´s reputation and ability to provide both exhilarating performance coupled with outstanding sea-keeping and levels of comfort. The 430 cockpit is beautiful, practical and innovative. A double helm seat with lifting base allows for two people to either sit or stand behind the helm. Angles for the placement of all instruments have been carefully calculated to give perfect visibility and anti-glare finish to the console area to avoid distracting reflections. 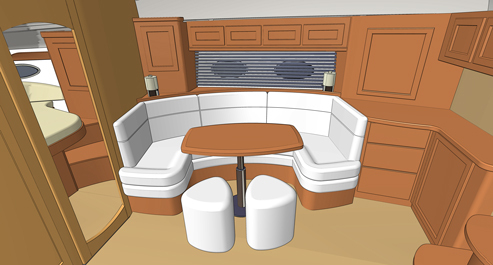 Opposite the helm to port is a large safe and supportive upper seating area designed to be at windscreen level for those choosing to sit here, alternatively there is room for this area to be utilized as a sun berth with rounded head cushion. The lower seating area which can be converted to a full sunbathing bed by lowering the electrical operated table can also accommodate up to 8 people for eating or enjoying a sociable drink. 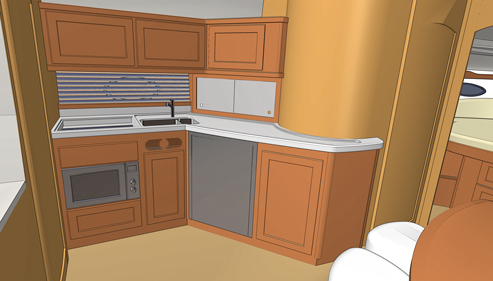 Opposite the seating area is a well designed wet bar which can accommodate electric BBQ griddle, refrigerator, ice maker and has a fitted plunge sink. Nord West has by design accommodated drink holders around the cockpit area where necessary. 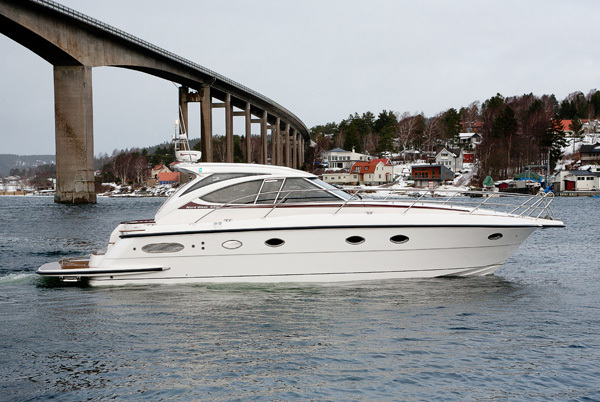 Nord West quality shines through their sports cruiser range and the 430 Sports and Sports Top are testament to this from the swedish boat builder, and for the Nord West faithful they will feel as the 430 is a fantastic addition to the range. Have always liked the Nordic boat designs and builders, they always seems to have the little edge on the rest for quality of build and finish and the 430 seems to be following this trend another winner in my book.